A warm welcome awaits all visitors. Four star accreditation for hospitality and cleanliness. Bed and breakfast accomodation situated on Ocean Road just a couple of minutes walk from the seaside and town centre. At Seabreeze you can be assured of a pleasant stay with our high standards maintained throughout all aspects of the guest house. A strict cleanliness policy is applied to all our bedrooms, facilities and kitchen, which is backed up by a quality service to ensure you feel at home. All rooms have co-ordinated furnishings. All rooms have en-suite facilities. 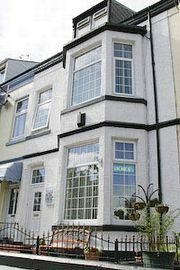 Seabreeze Guest House offers friendly and comfortable bed and breakfast accomodation in South Shields. This non-smoking guest house overlooks Ocean Road and offers many comforts and facilities, there is ample free public car parking on the main street and surrounding areas. 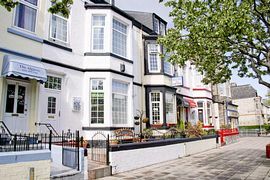 The Guest House is set in a central location, so you have easy access to the seaside and can enjoy the convenience of the many shops and restaurants which are close by. There are numerous things to do and see in South Shields which makes it an ideal place for a holiday or short break. Beautiful eight bedroom guest house with a growing reputaion as one of the best in the area. Three star Visit Britain Rating with four star accreditation for hospitality and cleanliness - three star AA rating (Pending). Seven rooms en-suite, One room with private bathroom facilities. At Seabreeze Guest House every effort is made to ensure you enjoy your stay. Please visit our website for directions to our guest house.